Almost every pair of headphones delivers music directly to your ears—whether through over-ear cans or in-ear buds. But these ALL-Terrain Bone Conduction Bluetooth Headphones offer music differently. With an ergonomic design and powerful sound, these headphones are perfect for outdoor exploring or urban adventuring. Made with rugged, water-resistant materials that can withstand the elements, these wireless headphones utilize innovative bone conduction technology that bypasses your eardrum. Delivering sound directly into your inner ear through tiny vibrations means you can enjoy stellar sonics without having to isolate yourself from the world around you completely. Even while listening to your favorite music, you'll be able to take in the sounds of nature on a hike or the sounds of waves splashing on the beach. Being able to ear ambient noise is also essential during city jogs, where the sounds of approaching cars and bikes can play a significant role in keeping you safe during your workout. These headphones sit comfortably in front of your ears (thanks to flexible rubberized backing) and deliver eight hours of battery life after a ninety-minute charge. You'll even have access to Play, Pause, Skip, Back, and Volume controls with an inline controller. The ALL-Terrain Bone Conduction Bluetooth Headphones are ruggedized, water-resistant headphones designed for an adventurous life. With an ergonomic design and powerful sound, these wireless headphones are perfect for outdoor exploring or urban adventuring. 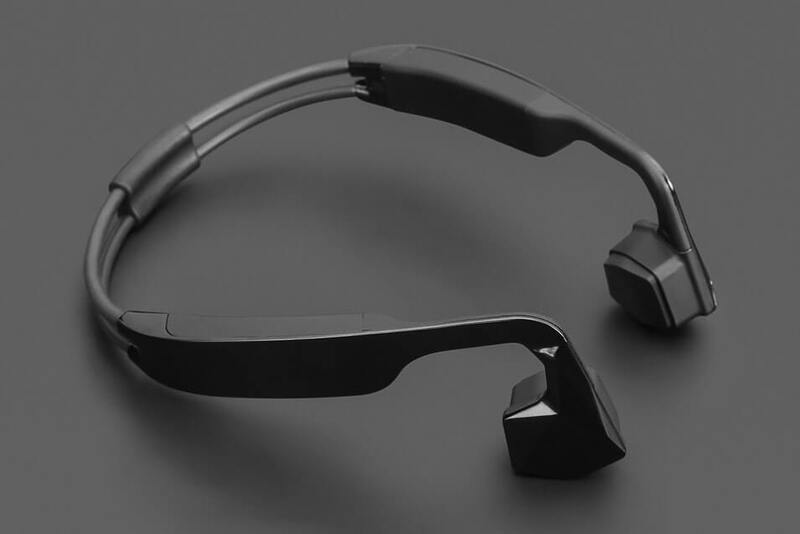 The innovative bone conduction technology bypasses your eardrum, feeding sound directly into your inner ear through vibration, while still allowing you to stay tuned in to the world around you.